The circumstances and conditions of the current social and political climate in the United States can seem dizzying, as the civil rights of citizens who are not rich, white, and male are trampled over. Rampant white supremacy has stepped out of the shadows, marching its way back into the White House, and other branches of the United States government. The truth is that racism was never truly snuffed out in our democracy, which is how it’s managed to rise to the surface once again. 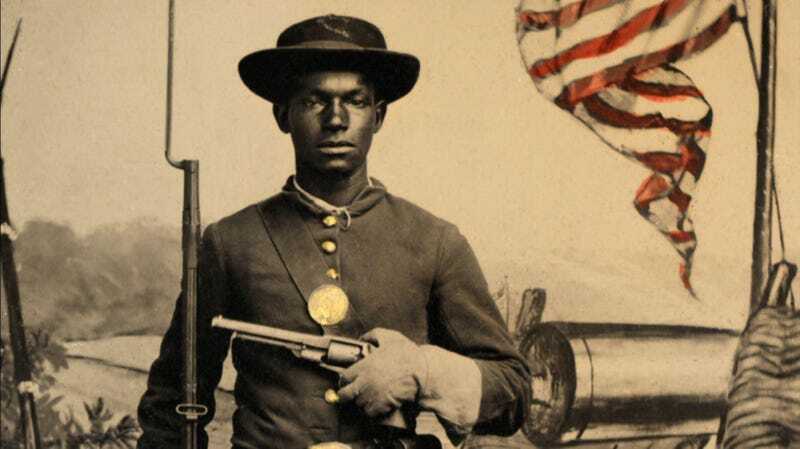 In his new PBS miniseries, Reconstruction: America After The Civil War, Dr. Henry Louis Gates, Jr., unpacks the seldom discussed twelve-year period just after the Civil War. As America tried to restructure itself as a country without the foundation of slavery, while grappling with the status of millions of newly freed African Americans —former slave owners also had their own agenda. They began writing a revisionist history of slavery and the Civil War while using widespread casual violence to terrorize and disenfranchise black people and sympathetic white people. In the second decade of the 21st-century, little has changed. We have seen the horrors of the Unite The Right rally in Charlottesville, Virginia and the massacre of nine black worshipers at the Emanuel African Methodist Episcopal Church, in Charleston, South Carolina. Though shocking and nightmarish, these conditions and acts of terror are not new. In many ways, America has ignored its history or tried to revise it. But we face our past and reconcile with it, we will continue spiraling in cycles of immense progress and devastating regression. Broken down into four hours over the course of two nights, Reconstruction: American After The Civil War is expansive. Hour one of the docuseries, which is produced by Gates and directed by Julia Marchesi, reveals a through-line from the establishment of Reconstruction in 1865 to the racial struggles of the present day. The second hour reflects on the progress of organizations like the Freedman’s Bureau, as well as strides black people made in the country post-Emancipation: holding government positions, becoming land and business owners, and generating wealth through 1877. Hour three maps out the rollbacks and backlash that occurred during the late 1870s and into the 1880s as the Democratic Party came into power over the then-progressive Republicans which enabled the Black Codes, the birth of Confederate nostalgia, and eventually established the Jim Crow era. Finally, the fourth hour focuses on the terrifying violence enacted upon black people, as well as the flood of propaganda to rehabilitate the South, which included the widespread use of stereotypical depictions of African Americans in popular culture into the 20th century. To get to the truth of what actually happened at the end of the Civil War, Gates uses specific incidents and astounding data to argue that power grabs like gerrymandering and present-day rollbacks on our freedoms, including immigrant rights and women’s rights, all have blueprints that were created during the Reconstruction era. From archival material to preserved photographs of the time period, along with interviews from numerous guests including Dr. Cornell West, historian David W. Blight, Pulitzer Prize nominee Jelani Cobb, and Professor Kimberlé Crenshaw, Gates and Marchesi use all of the resources in their arsenal to paint a comprehensive picture of this polarizing time. 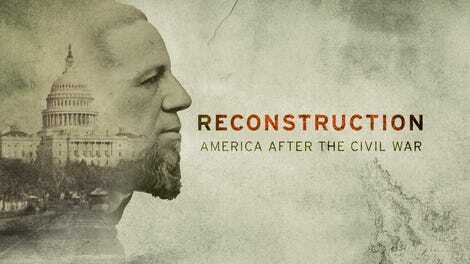 At times, Reconstruction: America After The Civil War seems almost overwhelming. Though the Reconstruction era technically stretches from 1865 to 1877, Gates leads us into the twentieth century. The series ends in 1915 as D.W. Griffith debuts his widely popular and highly racist film, The Birth Of A Nation in the White House for President Woodrow Wilson. As a result, the series felt quite lengthy in some spots. Yet, with his soothing tone and thorough research, Gates allows his audience to sit with specific instances and legislative measures, like the Civil Rights Act of 1866, Frederick Douglass’ defiant speech at the 1893 World’s Fair in Chicago, and 1896's Plessy v. Ferguson, the latter of which solidified Segregation. Gates slowly unravels the collapse of Reconstruction and how the repercussions of two centuries past have affected the very core of our democracy and nation today. Reconstruction also feels repetitive at time, which perhaps is the point. Rebuilding the country after the Civil War was a daunting task, and the series drives that home time and again by highlighting racist legislation and mass murder, issues that continue to arise. However, since he pushes past 1877, Gates is able to spend time explaining convict leasing, the pipeline to prison system, sharecropping, and all of the mutated forms of slavery that were put in place after Reconstruction ended. With such weighty topics, he’s also careful to give a balanced account of the tenacity of black citizens. Though the promise of equal citizenship was stamped out with the end of the Reconstruction era, African Americans still thrived in many ways. There was the establishment of the Historically Black Colleges and Universities; the formation of all-black communities like those in Wilmington, North Carolina; the rise of prominent black figures like Booker T. Washington; and the establishment of the black press where journalists like Ida B. Wells reported on rampant lynchings and gave positive accounts of black life. If you’ve watched anything that Gates has produced, you know that the Harvard professor has a penchant for melodrama. In addition to the archival photographs, documents, and interviews, Gates and Marchesi’s use reenactments and voiceovers, which aren’t always effective. While the voiceover work brings the words of prominent figures like Booker T. Washington, Ida B. Wells, and W.E.B. DuBois to life, the black and white reenactments are uninspired and even seem amateurish. Despite a somewhat tedious pace, much of Reconstruction: America After The Civil War is revelatory. Gates thrusts us into the period, focusing on things like lynchings, the 1871 Congressional testimonies on the KKK, and the rise of organizations like the United Daughters of the Confederacy (which established the Confederate statues across the South), unveiling what has previously been erased. Comparing documents and photographs of racial terror in the 19th century with instances that occurred through the 20th and into the 21st century is also highly effective in creating a tangible narrative for viewers. When Reconstruction: America After The Civil War opens, Gates suggests that the racial turmoil, violence, and inequities in the country today are a result of the collapse of the Reconstruction Era. He states that the United States has never come to terms with its identity without slavery. In the space of four hours with numerous interviews, accounts, and historical documents, Professor Gates proves his case. America has never had the courage or dignity to live up to the Constitution upon which it was founded. Reconstruction is damning because though we might act shocked by racial violence and the resurgence of white supremacy today, the truth is, we’ve simply been closing our eyes to it all along. The facts are plainly woven into the fabric of our country. Aramide Tinubu is a film critic and entertainment writer. She wrote her master’s thesis on Black Girlhood & Parental Loss in Contemporary Black American Cinema. She’s a cinephile, foodie, & bookworm.